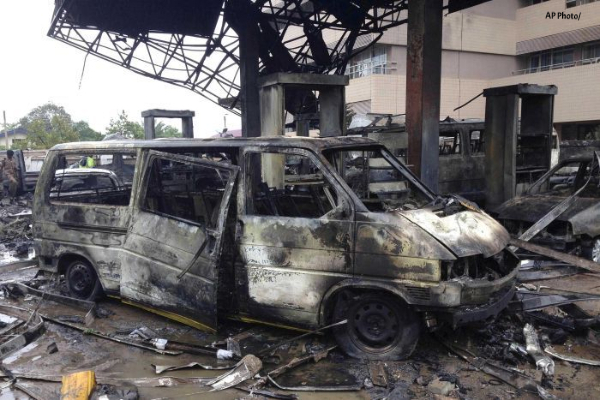 The Ghanaian President, H. E. John Mahama has announced three days of national mourning, following the demise of nearly 200 people in an inferno at a petrol station in the nation’s capital, Accra. The cause of the fire accident is related to the flooding which is also direct cause of death for some of the victims. The flooding itself, though a natural disaster, is related to human failure and activities. Flooding has hit the West African nation due to the country’s poor drainage system, largely attributed to the erection of building structures on waterways. Weather forecasts predict the country will continue to experience heavy downpours in the coming days. The Association of Evangelicals in Africa (AEA) wishes to convey heartfelt condolences to the families of the victims and the people of Ghana for this grave loss. Once again, we urge Christians across the continent to hold prayer vigils to stand with and uphold the people of Ghana in prayer for God’s grace and comfort during this period of mourning. The tragedy in Ghana, is yet another reminder of the need for God’s shalom and our poor stewardship of God’s creation. As people of God and God’s messengers on planet earth, we must realise that, environmental issues, our relationships with one another, and with God our Creator is at the heart of Christ’s reconciling work— God’s Mission on earth. As co-workers with God, may we be faithful to that charge to the honour and glory of God.